Midnitelite provides a powerful, safe and effective solution for even the toughest industrial and mining lighting challenges. The Midnitelite range of mobile lighting towers was developed in response to requests from our clients for a heavy-duty and user-friendly mobile lighting solution. 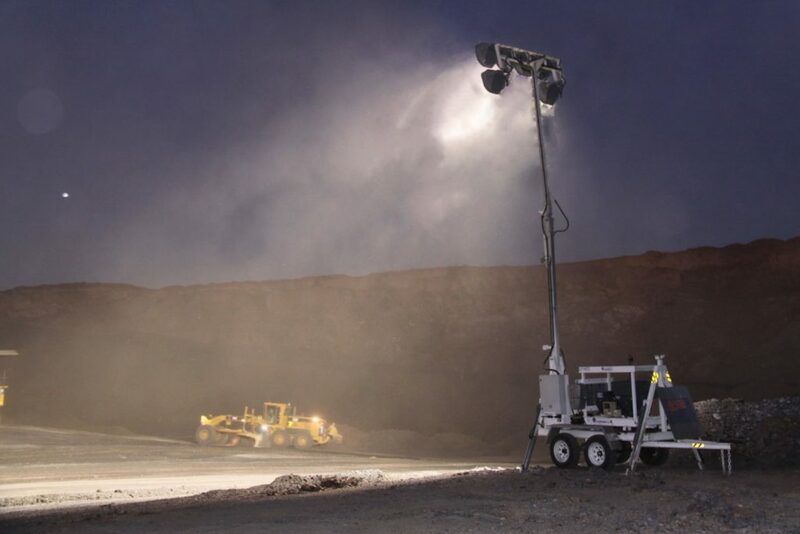 Based on the existing design and ethos of the Metrolite, the Midnitelite mobile lighting tower offers a more robust solution and is particularly well suited to building, roadwork, or mine sites in harsh environments. The sturdy design and heavy-duty trailer base allow the Midnitelite mobile tower to be transported across rugged terrain and installed in the most demanding conditions. 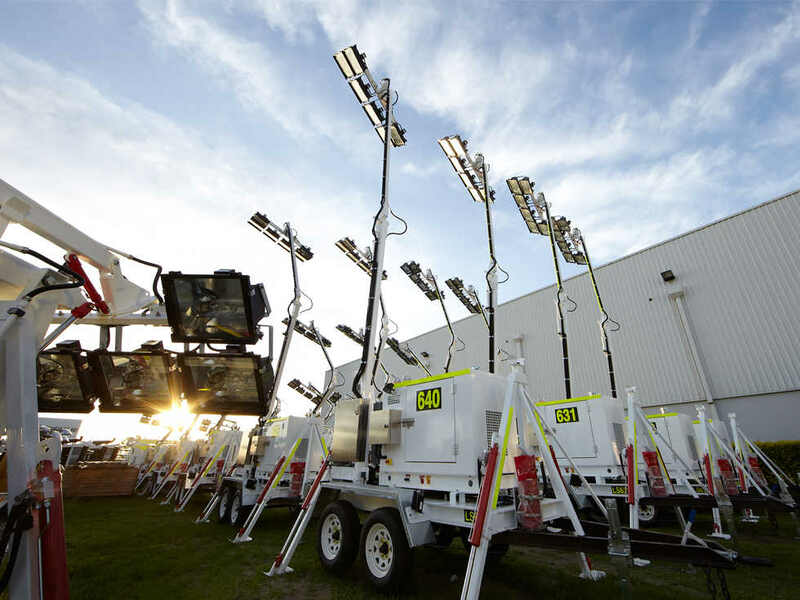 Midnitelite mobile lighting towers endure the most severe on-site treatment and deliver continuous bright light safely and reliably — even in the toughest conditions. Midnitelites are designed to be entirely versatile, manoeuvrable, and user-friendly. Each light requires only a single operator, which means you can focus your workforce, where they are really needed. The Midnitelite mobile lighting tower also utilises our quality LED fixture. These LED fixtures provide a 50,000 hour plus life span and come with a 3-year warranty. Our flexible approach means that if you can’t find the right Midnitelite for your application in our standard range, we’ll custom-build one for you. Suitable for use on the toughest terrain: Hydraulic, fail-safe, 9.0m – 12m, double-jointed, knuckle-style or telescopic mast supports and directs lights. Ideal for high wall overhang applications. Light focus mounted at the top of this mast has a 105-degree swing that can be adjusted while the mast is fully extended. Providing easy operator use and site-specific flexibility. User-friendly and labour efficient: only requires single operator while producing a brilliant spread of light. Brilliant light precisely where you need it: The lighting plant is mounted on a highly manoeuvrable, heavy-duty trailer with A-frame drawbar. Single or dual axle models available. Enhanced stability: hydraulic stabiliser legs provide additional stability while ensuring unit remains constantly level. Reliable, continuous illumination: Powered by a rugged, reliable Megagen generator for uninterrupted power in remote locations. Brilliant light to suit your requirements. The light output that ranges from (but not limited to) 420,000 to 1,200,000 lumens for metal halide. Made to Australian standards to suit the toughest Australian operating conditions. Double action rams and safety lock valves on all hydraulics. View our full range of Lighting Towers available from our MegaLED, Metrolite and Midnitelite Skid series, or see the latest in our Latest News. Click Here to contact the Eneraque portable lighting tower experts today or call us on 1800 636 744. Available Australia-wide and for the Australasia regions.